It's not that we treat dogs harshly but I'm sure some people think otherwise. Dogs born in the Philippines are generally mongrels or mixes. Although it's not so rare to find someone owning a dog with breed, most of them are usually bought for dog shows or are owned by rich families who can afford them. Since I belong in a middle class household, my dogs are usually of "street" nature. The first time I had a dog was when I was just 7. My mom had gotten her from the neighbors. She was short and black and extremely cute (in a puppy kind of way). At that time, I had not known dog breeds existed yet. And generally, my mom chained her because of their less domestic nature. Ninety percent (90%) of dogs here can survive independently without having masters to feed them. I named that dog Apple. As a child, I felt cruel that my mom felt the need to chain a dog. But since she does not allow pets inside the house, she was scared someone would pour hot water on Apple's back if she got caught outside eating from someone else's garbage. I took Apple for walks but eventually stopped because she always overpowered me. I did, however, love spending time with her, patting and loving her. Sometimes, I would even stop by the grocery and buy her some Pedigree food from my allowance. Had I known a simple tug technique can make a large difference, I would've used it. The internet wasn't readily available yet so I had to rely on books to learn about them. Apple was very brave. One time, she got into a fight with a Rottweiler more than twice her size. After a battle that I thought would never end, the Rott squealed and ran scampering while Apple stood steadfast protecting her territory. Most small dogs are too dominant for their own size. Apple was one of them. Her size was that of a Corgi. But the similarity between them ends there. My first childhood dog was a German shepherd and after she passed we got two chihuahuas. As I'm sure you know, in the states even the poor can afford purebreds. The only ones I have seen that might be out of a lot of peoples reach are yorkies. They are pretty expensive. The only time I've seen all purebred breeds selling for 1,000's of dollars are the ones that sell them in the window. There was a law in my city that said breeders can't sell their puppies for more $150.00 us dollars. Not everyone abides by this law, but Rocket's breeder did. Yuki I got her in different state, and I had to pay more for her. Is it a common thing for people to pour hot water on dogs? I have friends who have had neighbors feed them poison when they weren't home because they just didn't like dogs. The only reason my friend found out why they were getting mysteriously sick was because she saw the neighbor throwing the poison over the fence when she thought she wasn't home. I tried emailing you but the email address on your website can't accept email. 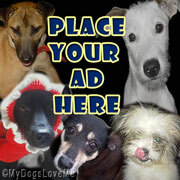 Just wondering if you wanted to exchange links with my site at www.dogfleashelp.com. Email me at chris@helpworks.net if interested. @Y & R: Grrr, I would have wrung the neighbors neck if I'd catch them doing something so awful to my dogs. By the way, the reason I haven't mentioned much about my pack is because of the continuous deaths for this entire year. 2 dogs and 6 pups died under my care this year. I was wondering if I'd done something wrong. A majority of them died with the same symptoms- blood out of the mouth and the bottom orifice. P.S. Yes, I've heard alot of stories of stray dogs having hairless backs because of the hot water thing. I think it's very very cruel. Oh my goodness! Do you know why this is happening or what you may suspect?? I don't have any idea!!! That's the problem with it. The last one died while I was still staying at my sister's. And my mom told me a week later because she was scared to bring me the bad news. I am frustrated not knowing whether it is some virus/bacteria or just some whacko throwing poisonous food at them. Are there a lot of rats or mice in your area? We live in the desert, but my mom lives next to a river and directly on a pond. I know her neighborhood has a lot because of the water. The reason I'm asking is because if you suspect poisoning, but don't have poison, your dogs can get secondary poisoning. If they see one of those things, their natural instinct is to catch it and they can get posioned from ingesting the dying rat. If the rodent has ingested poison, it takes days for them to die so they're still running around. My dad told me once that he once set out rat poison for the rodents, a bird came and ate it, then died. A vulture in turn saw the dead bird and came and ate it, and it to died. I didn't know how bad the chain is with the rat poison, but it's something to think about if it hasn't been ruled out? Wow, that's some potent poison. We do use insecticides to kill ants but never for rats because of that reason. We usually catch them and my mom drowns them. But I don't know about the neighbors. Maybe they're the ones using it. Still, it is an option I hardly look into because one of the dogs who died of the same thing was with my sister. She was very far away from us- a plane ride away. I was thinking that maybe the mom of Shark has some sickness she has passed on to him but the vets say that the sickness came in so fast. This is my first visit to your blog. We are starting a new initiative in the same niche as this blog. Your blog provided us with important information to work on. You have done a admirable job. I actually added your blog to my favorites and will look forward for more updates.